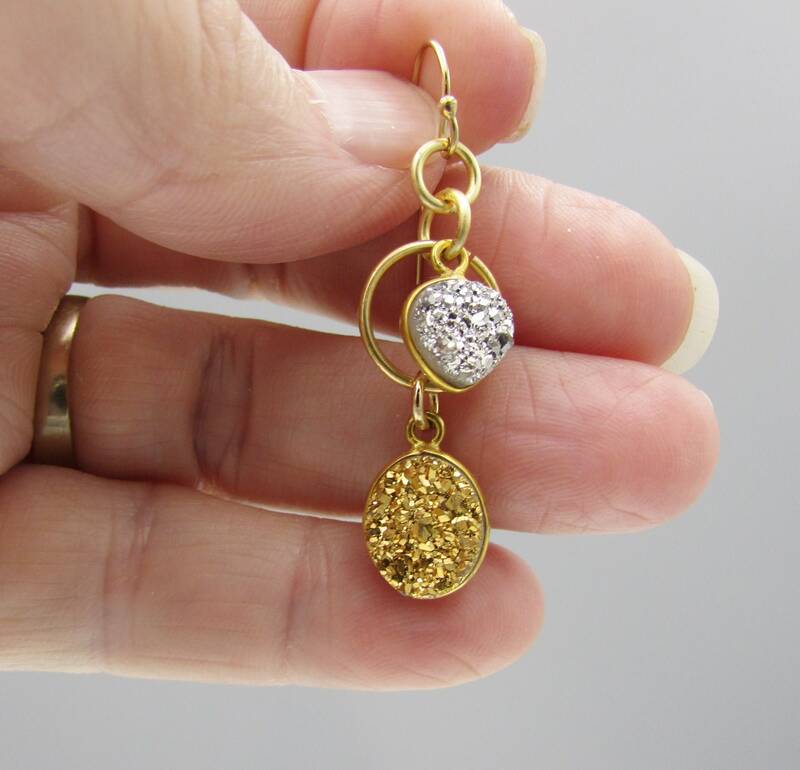 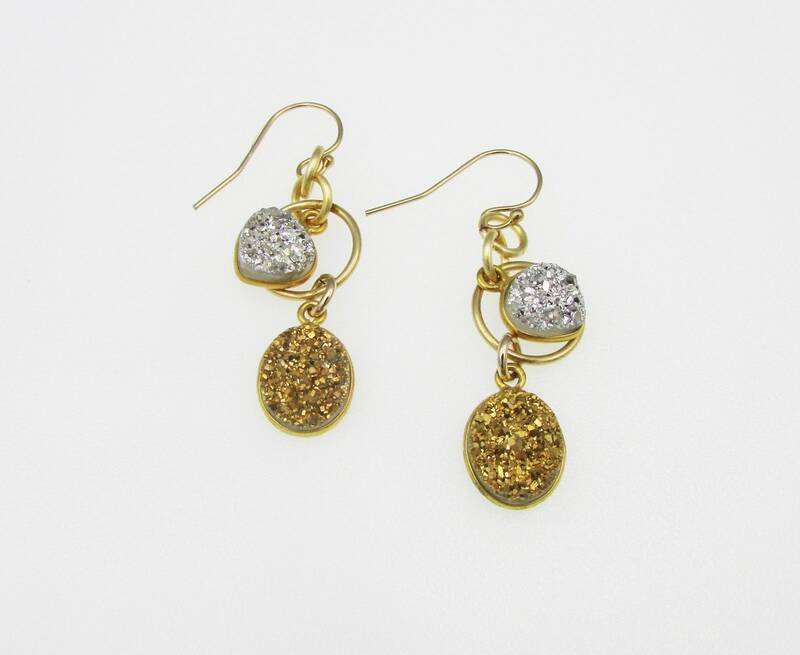 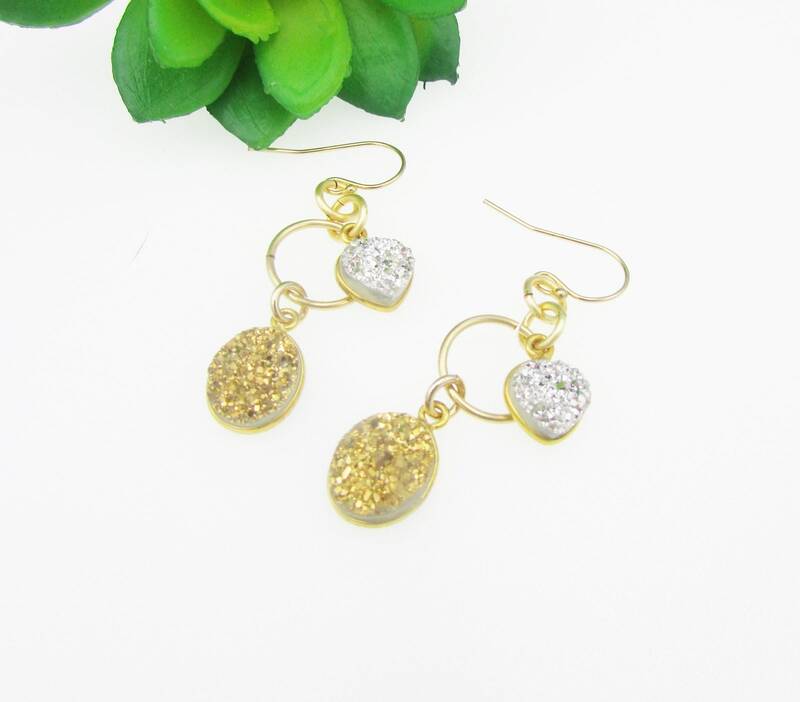 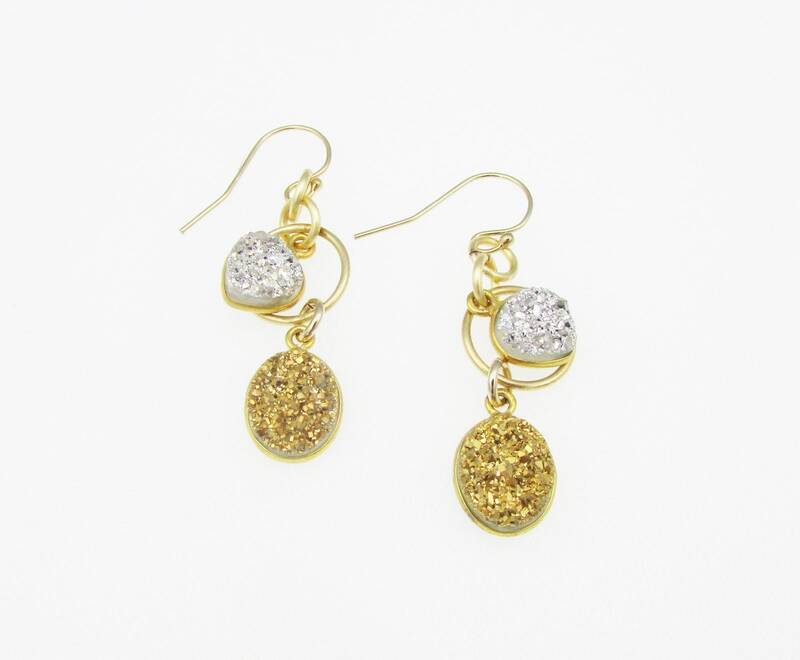 These lovely earrings are created with beautiful gold and silver druzy. 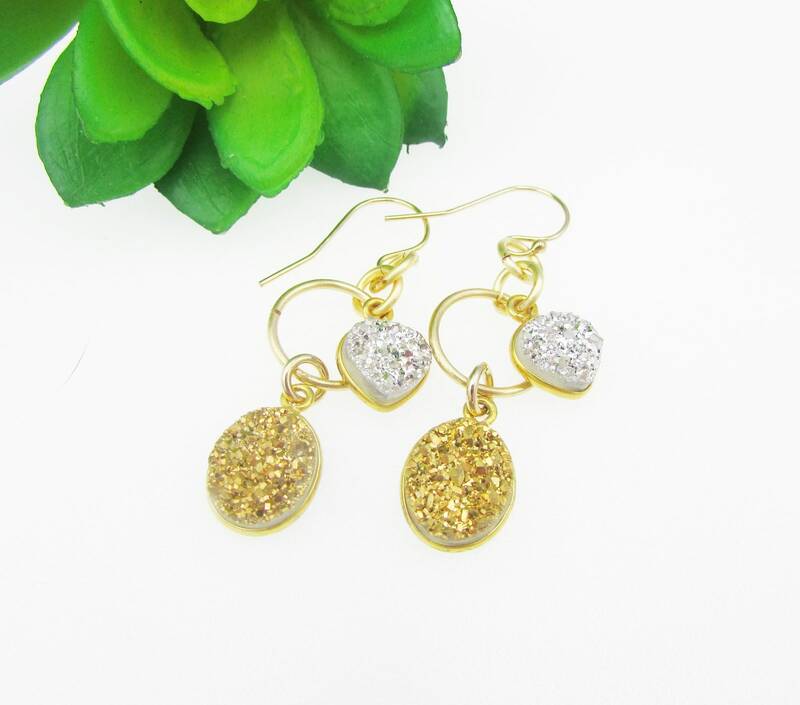 The length is approximately 1-1/2 inches with gold filled ear wires . 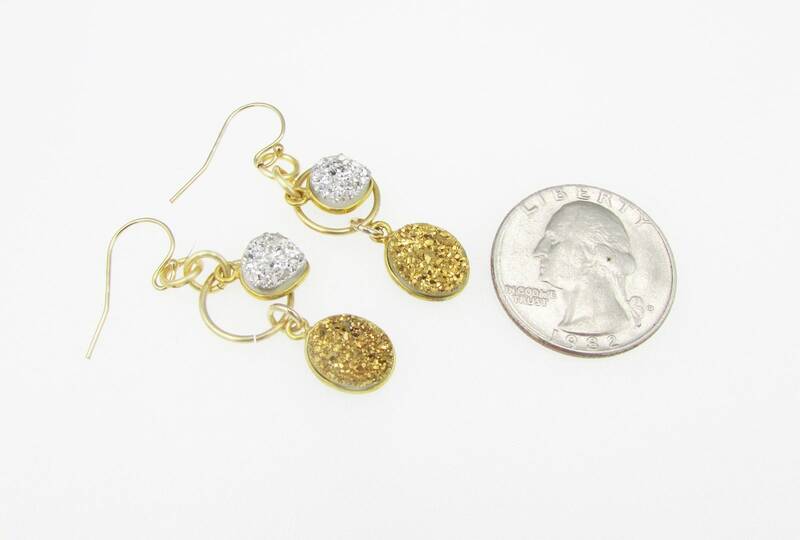 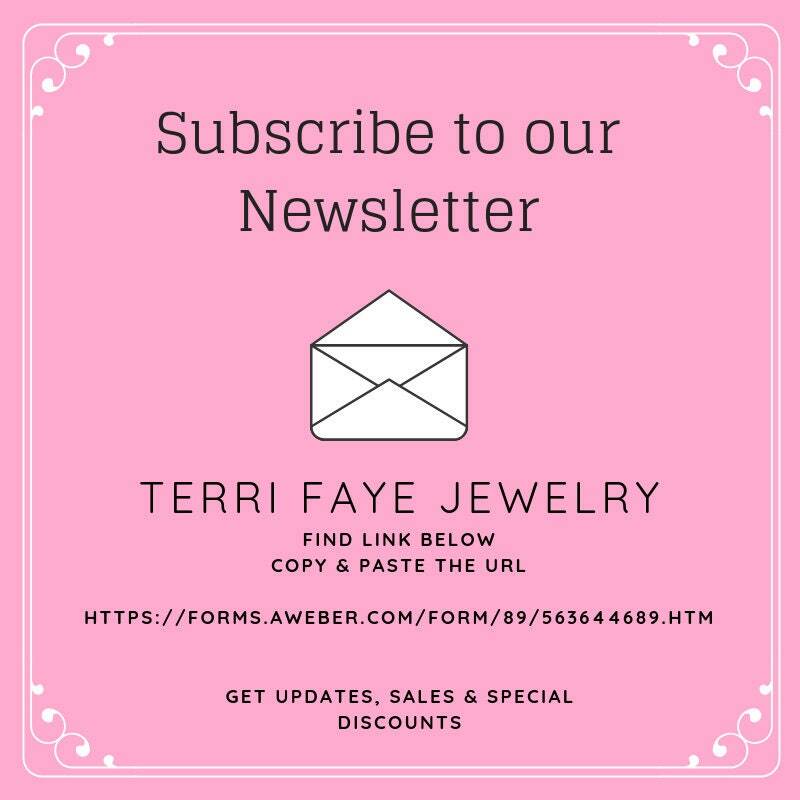 These earrings look fantastic with jeans or with a holiday dress.